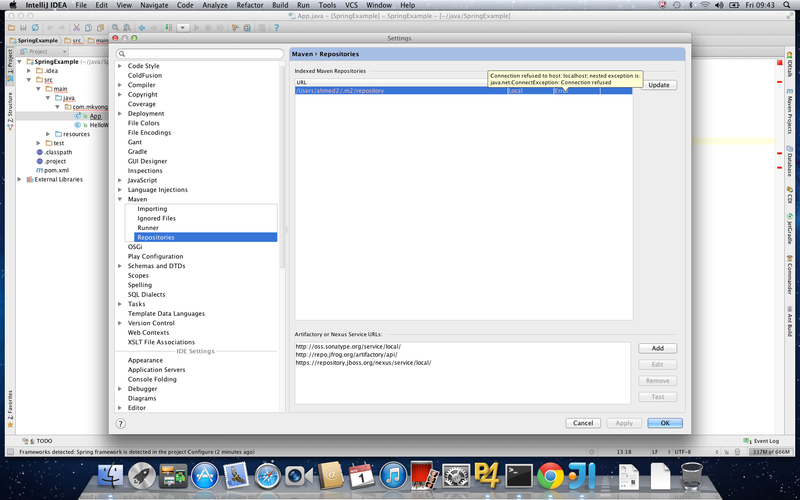 I'm running Idea 12.1.6 build 129.1359 on macbook osx 10.7.5 lion. There's some strange error which is happening only on my macbook when I import a maven project idea is not able to find maven dependencies and when I go to the repositories section under Maven and click on update on local/remote repositories it gives an error "Connection refused". Please view the screenshot attached. Any help is appreciated. but still same, please find new log attached.